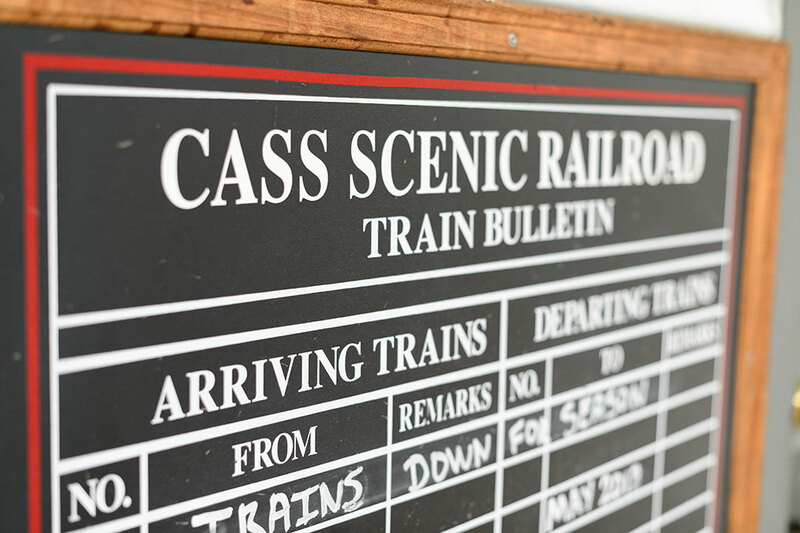 Have you ever attended the Cass Railfan Weekend at the Cass Scenic Railroad? 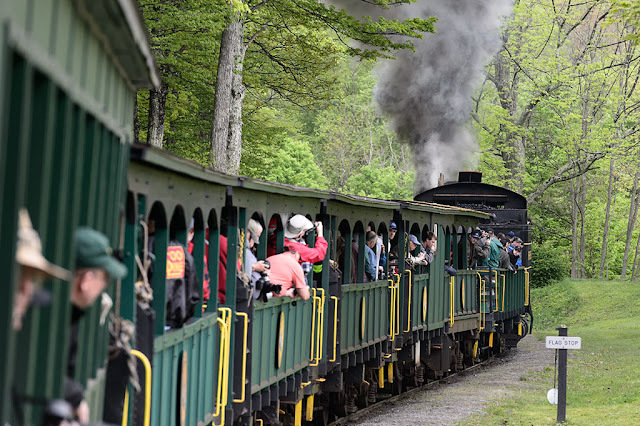 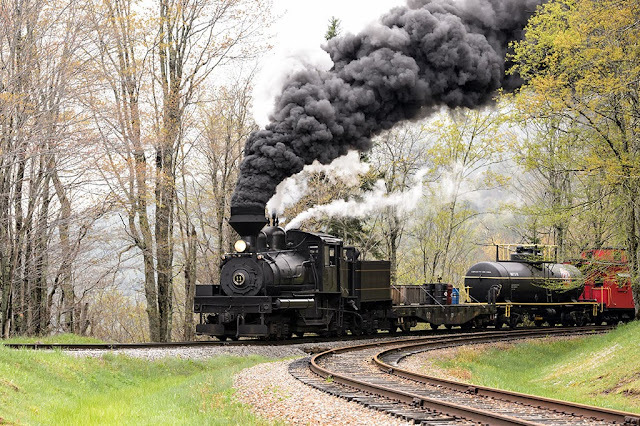 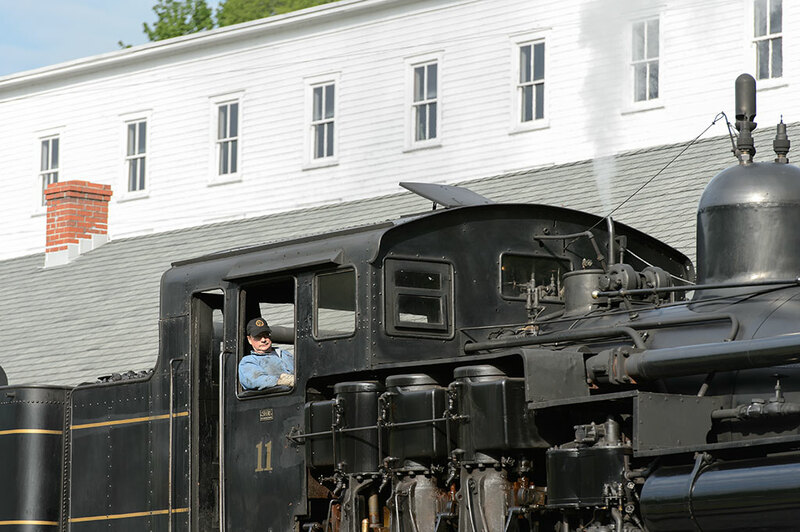 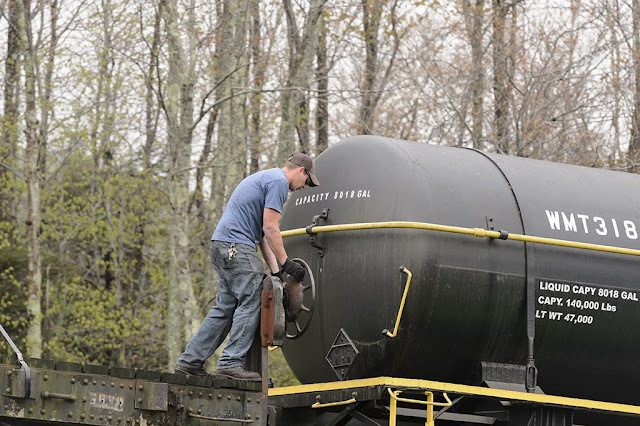 The Mountain State Railroad and Logging Historical Association (MSR&LHA) puts on a great long weekend of special excursions using the steam engines of the Cass Scenic Railroad. 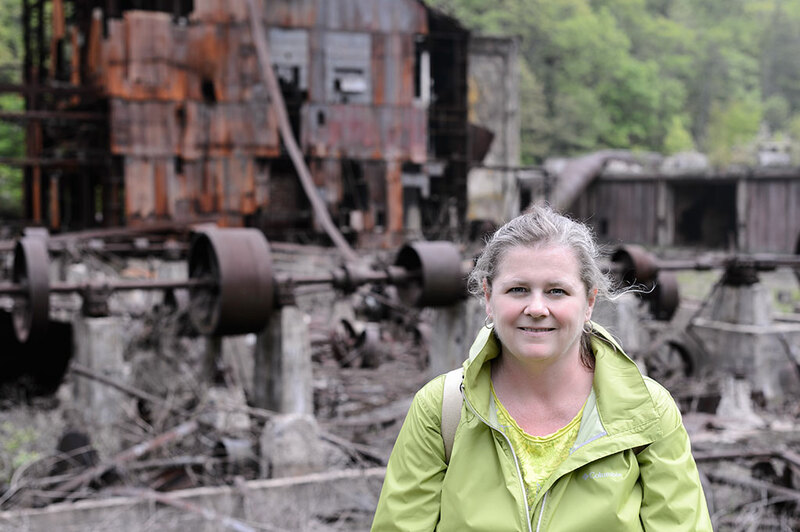 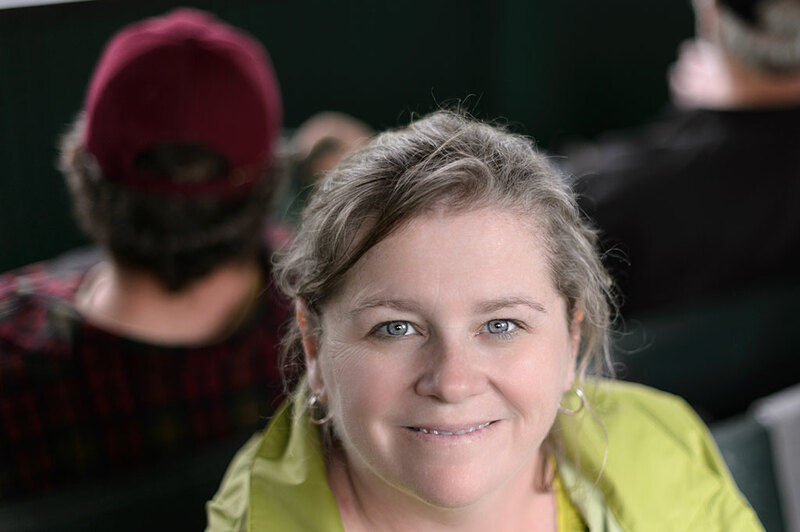 The number of tickets are limited and the event often sells out for this railroading event. 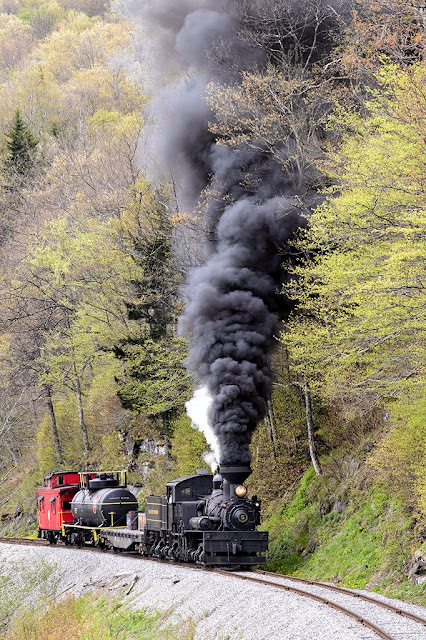 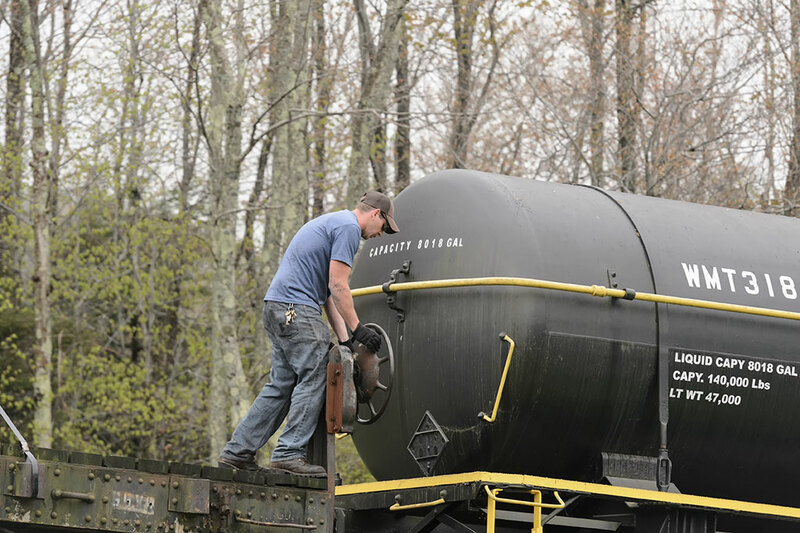 The Cass Scenic Railroad runs several different steam engines on the former logging rails up the mountain. Most of the trains running are powered by Shays except for one Heisler. 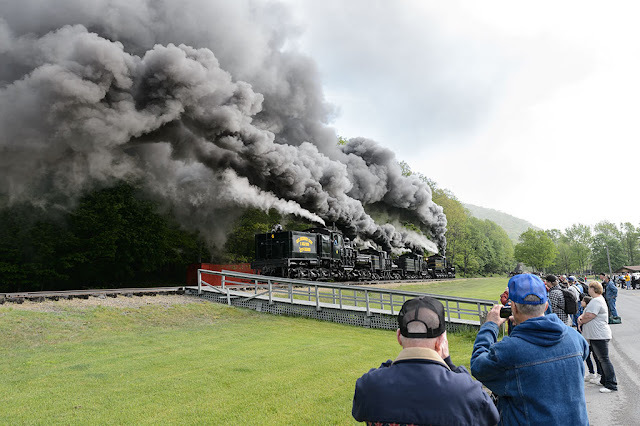 During the three day weekend, before the regular season begins, railfans are allowed special access to photograph these fantastic locomotives. 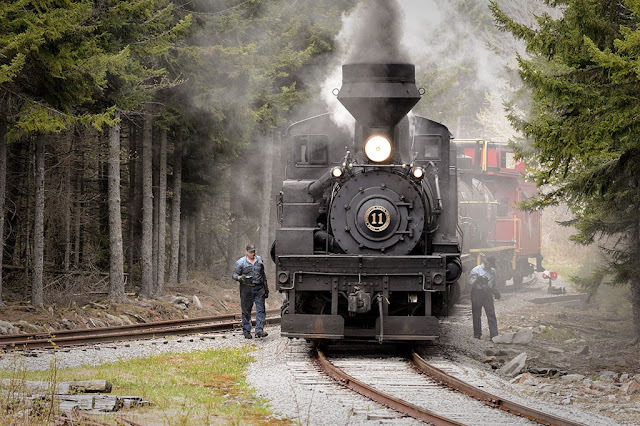 If you sign up for one of these events you will be hopping on and off the train in various places, some fairly rugged, for some very special runbys. 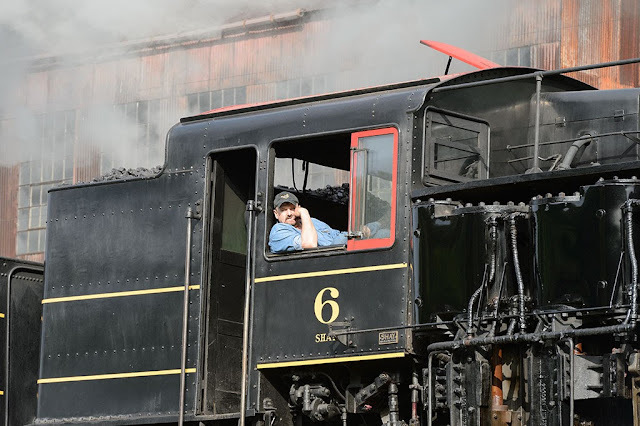 Shay #5, built in 1905, was pulling freight all weekend. 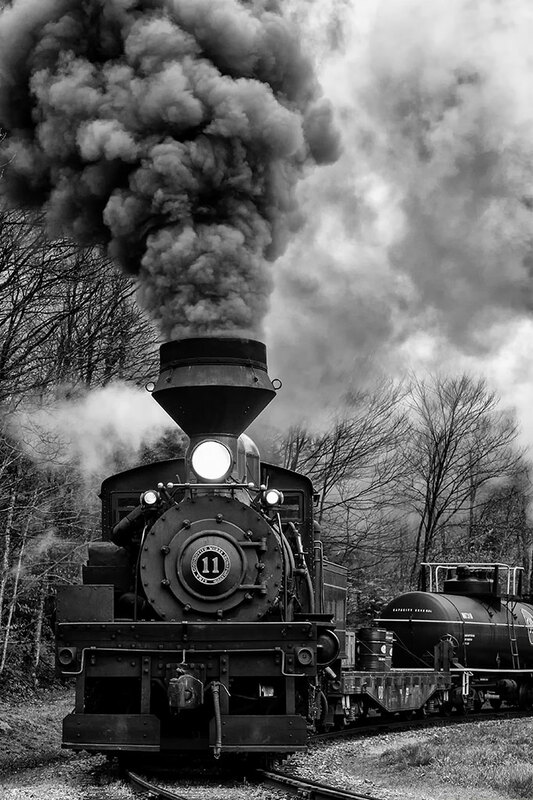 This made for some awesome photo opportunities. 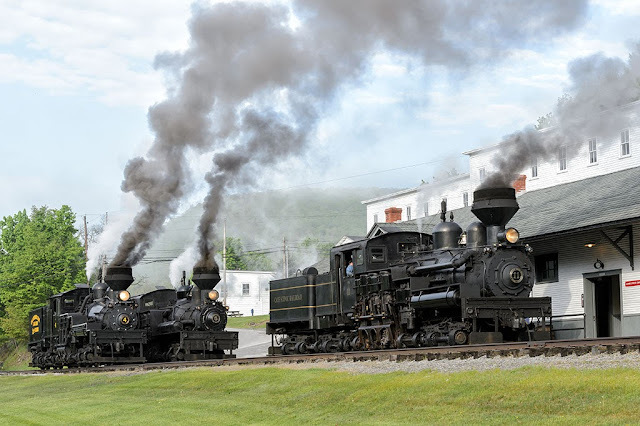 At most stops the steam powered trains would make two or 3 passes before we all piled back on to the passenger trains. 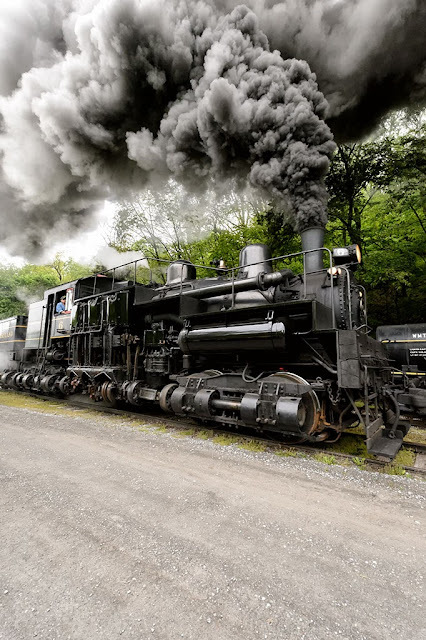 Shay #11 (Feather River #3), built in 1923 for the Hutchinson Lumber Company, switched off on the duty of running the freight up the West Virginia mountain with Shay #5. Even the engines pulling the passenger cars are impressive. Shay #6 with Shay #5 or Shay #11 double-headed to pull all the railfans up the mountain. Of course it's all the people that make the Cass Railfan Weekend possible. You will more than likely end up exhausted by Sunday evening when the event ends. 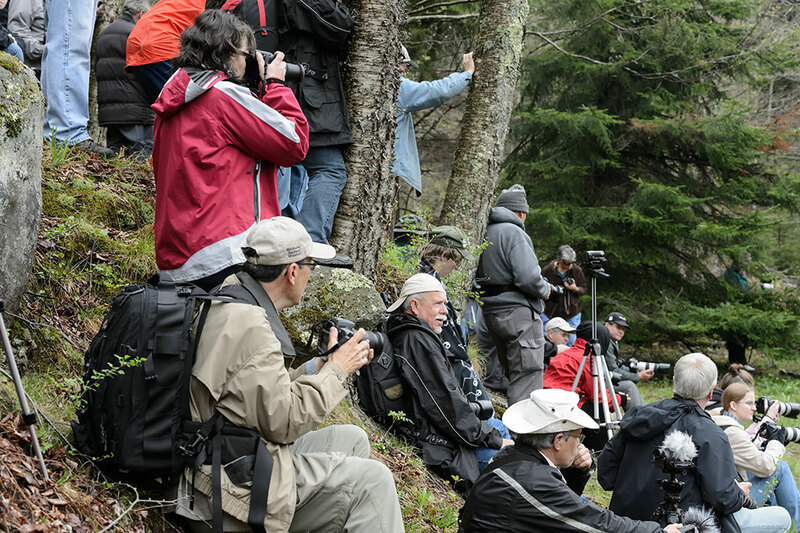 But, all the photos and memories that you create will be well worth the effort. 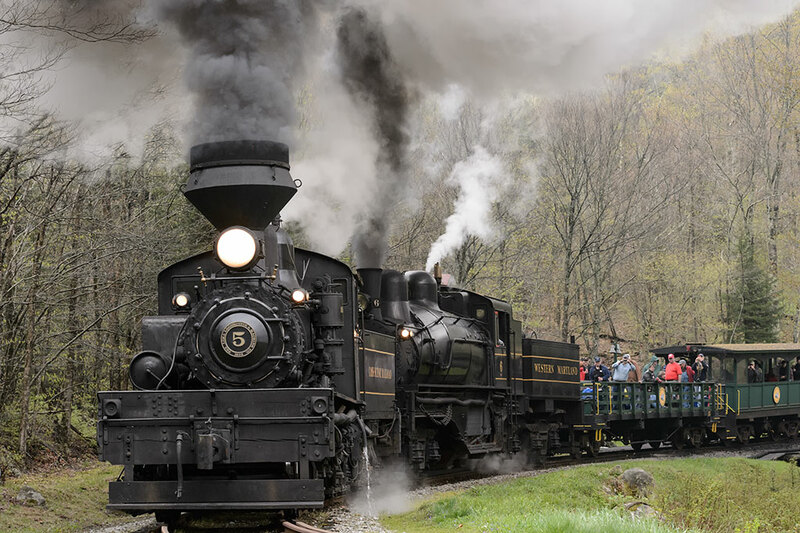 So grab your favorite travel companion and make plans to attend next year's Cass Railfan Weekend in Cass, WV. 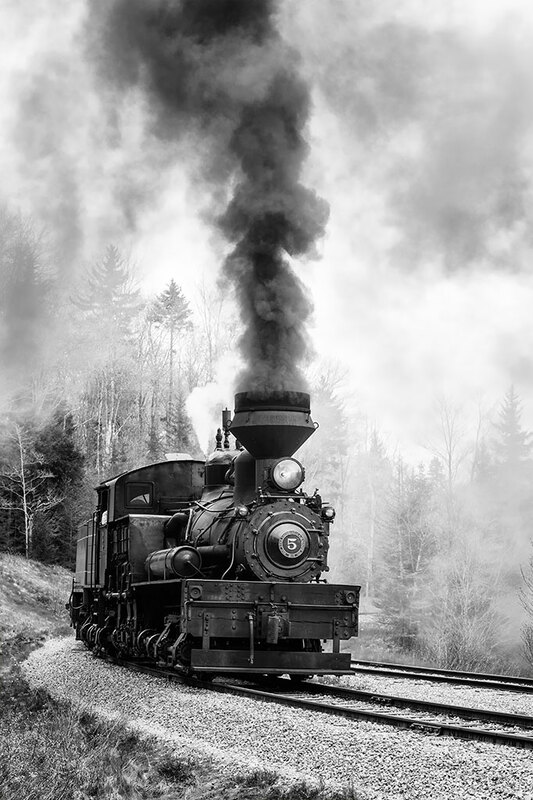 You can find many more photos to view over at our photo website: BG Customs Photography. 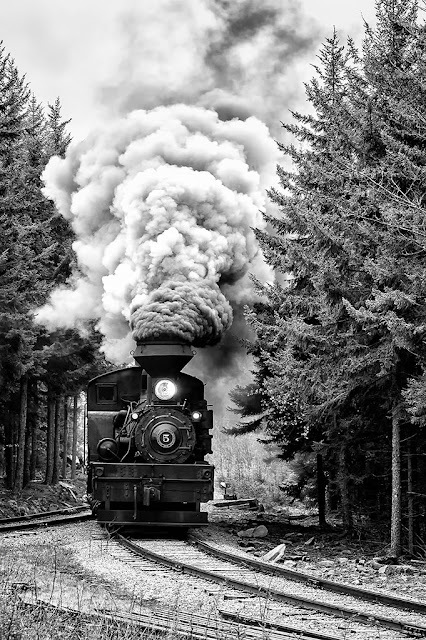 If you have a railfan in your family, prints make a great gift. What else is there to do at Shenandoah Caverns?